The EU has passed numerous directives and regulations to help keep people safe when using and transporting potentially hazardous gases and there are long-standing treaties such as ADR and RID that regulate their transportation by road and rail. 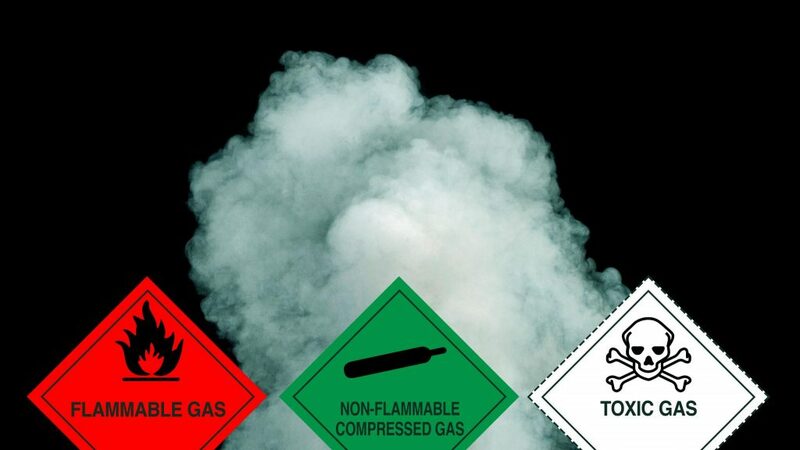 An important part of ensuring the safe transportation, and end use, of hazardous gases is their correct labelling and marking through the Class 2 Gas Label & Placard. Class 2 dangerous goods encompasses compressed gases, liquefied gases, dissolved gases, refrigerated liquefied gases, mixtures of gases, aerosols, and articles charged with gas. Gases are capable of posing serious hazards due to their flammability, potential as asphyxiants, ability to oxidize and their toxicity or corrosiveness to humans. Dangerous gases are mostly carried under pressure to reduce their volume and save space in transport and storage. Commonly transported class 2 gases include oxygen, natural gas, carbon dioxide, lighters, fire extinguishers, acetylene and aerosols. In the UK, companies that transport dangerous gases by road are required to comply with ADR (European agreement concerning the international carriage of dangerous goods by road) regulations and also meet certain basic minimum legal safety requirements. A threshold level is set based on a quantity of transport units, if below the threshold you are exempt from some requirements of ADR but if you exceed the threshold level you are required to comply with the full ADR regulations. Refer to BCGA GN 27, Guidance for the carriage of gas cylinders on vehicles. It is recommended that gas cylinders are transported in open vehicles, open containers or trailers. If it is necessary to transport gas cylinders inside a vehicle then good ventilation is required. In all spaces, the use of roof ventilators along with side vents will increase the quantity of ventilated air in the vehicle. Once the journey is completed gas cylinders should be removed from the vehicle. If there is any possibility of gas accumulating within a vehicle space then appropriate warning signs are to be displayed. Common hazards come from the use of dry ice (an asphyxiant gas) and also the careless handling and use of welding gas cylinders and equipment leading to a build-up of flammable and oxidant gases. Refer to BCGA CP 31 and BCGA GN 27. An empty, or partially filled, gas container that has contained a dangerous substance is treated the same as a full container and is therefore subject to all the relevant transport dangerous goods regulations. The container can only be treated as non-hazardous if adequate measures have been taken to nullify any hazards. The Class 2, gas labels for packages must be at least 100 x 100mm, from edge to edge, and they must show a dotted outer boundary line (unless being applied on a background of contrasting colour). The class number ‘2’ must be shown in the bottom corner and be in text at least 12mm high. Additional text saying ‘Flammable Gas’/’Non-Flammable, Non-Toxic Gas’/’Toxic Gas’ may be shown in the bottom half of the label, but this is not mandatory. The inner black line of the Class 2 labels must be at least two millimetres thick and there must be a gap of 5mm between this and the outer dotted border or the outer edge of the label. The upper half of the label must contain the relevant symbol. The line, flame symbol/gas cylinder symbol and text on class 2.1 and 2.2 labels can either be all black, or all white, on a red/green background. The Class 2 placard is used for cargo transport units such as freight containers and road/rail tanker vehicles. Class 2 placards must be at least 250mm x 250mm, from edge to edge, and set at an angle of 45°. The placard must show a dotted outer boundary line (unless being applied on a background of contrasting colour). The class number ‘2’ must be shown in the bottom corner and be in text at least 25mm high. Additional text saying ‘Flammable Gas’/’Non-Flammable, Non-Toxic Gas’/’Toxic Gas’ may be shown in the bottom half of the label. There is no specification for the thickness of the inner line, as yet, but there must be a gap of 12.5mm between this and the outer dotted border or the outer edge of the label. The upper half of the label must contain the relevant symbol. The line, flame symbol/gas cylinder symbol and text on class 2.1 and 2.2 placards can be either all black, or all white, on a red/green background. All Class 2 gas labels and placards manufactured by Hibiscus Plc, comply with IATA/ ICAO, UN ADR/RID and IMDG/IMO requirements, and are made from materials that meet the strict BS5609 standard. BS5609 is a specification for labels that are intended for marine use, whereby both the ink and the substrate must be able to withstand 3 months continuous immersion in sea water and still be legible and have good adhesion. We manufacture the Class 2 labels at 101 x 101mm on rolls of 250, and as single cut labels at 100x100mm. Class 2 placards, for use in international transportation, are supplied at 250x250mm and 200x200mm for UK transport only.